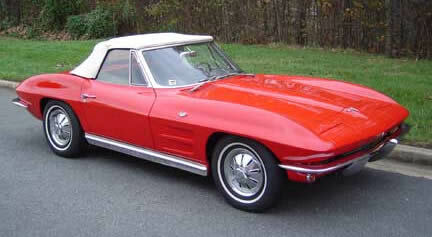 The 1964 Corvette was the 2nd version of the C2 second generation Chevrolet Corvettes also known as Midyear Vettes. The 64 Coupe featured one rear glass panel as opposed to the split-window style of the 1963. Gone from the 1964 hood were the fake vents but the indentations remained. Split window coupe eliminated on 1964 Corvette Stingray. Fake air intakes on hood removed but indents remained. Rocker panels have fewer ribs with black painted between each one. Fake vents on coupe's pillars become functional on left side.